Hello horror fans! 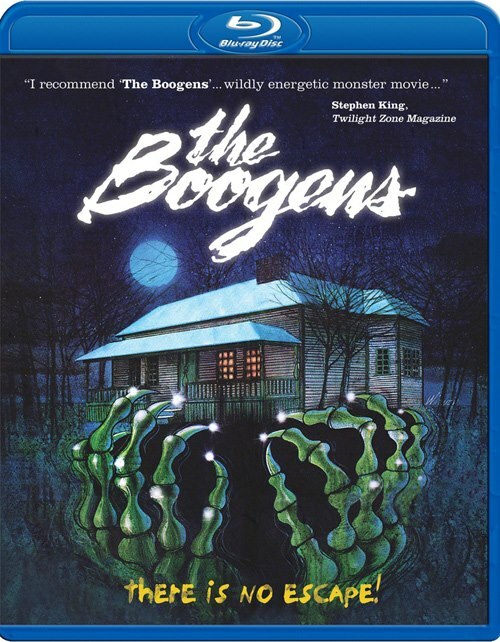 I wanted to come by and recommend a early 80’s “creature feature” that I love and I feel it is pretty underrated so I highly recommend The Boogens (1981). It came out the same years when we had the “golden-age of horror”,but I rarely hear people talk about it. Basically it surrounds four friends moving up to this old mining town where two of the friends have found work as miners. But once they move into their new house, something awakens and preys on the four friends. I described it very simply because I don’t want to give too much away. I will say it is a “creature feature” like I said before so be aware of that when you first see it,but in my opinion it is one of the best “creature feature’ films I have seen and one of my favorite horror films. I thought the acting wasn’t bad at all for a “B” movie and you do have some familiar faces in the film that you might recognize from other horror films. The story was great and it actually plays out really well. The kills are fun,but once you see the creatures that is the best part of the film. For the longest time I had a burn copy of the film since it wasn’t available on DVD and Blu-ray for many years and when I watched that copy I couldn’t really see the creatures because of how dark the picture quality was. But recently watching it on Blu-ray, the creatures were awesome. Some of the best practical creatures I have seen in a “creature feature” movie. Their simply creatures,but they also look great. Overall, this movie rocks and I highly recommend it!! If you have a Blu-ray or DVD player, pick up a copy of the new first time ever release of the film and support this release.. I hardly hear people talk it and I would love for more people to see this film. I recently bought the Blu-ray and it was awesome when it comes to picture and sound quality. I never imagined this movie would look so good since for the longest time you had to track down an old VHS copy of it. But I was very much impressed with how awesome the Blu-ray was. Not too many bonus features except for a commentary,but the release is worth picking up just for the movie alone. Support this release and please pick up a copy of the film if you haven’t seen it yet.